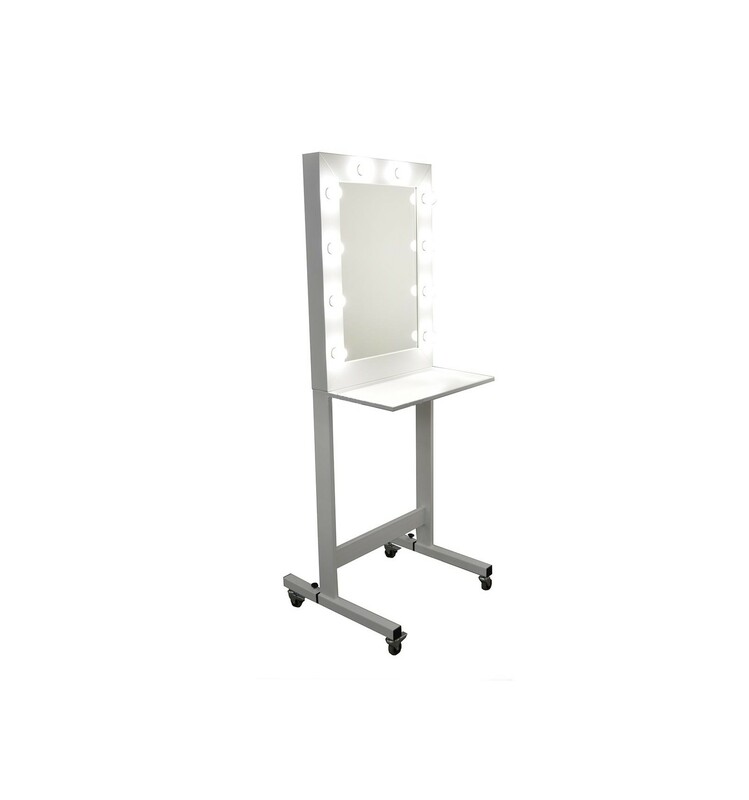 Mobile Makeup Stand (170 x 60 cm) with Hollywood mirror (80 x 60 cm), with 10 lights located along the perimeter of the mirror. Varnished mirror frame means easy cleaning, while adding style to the exterior. 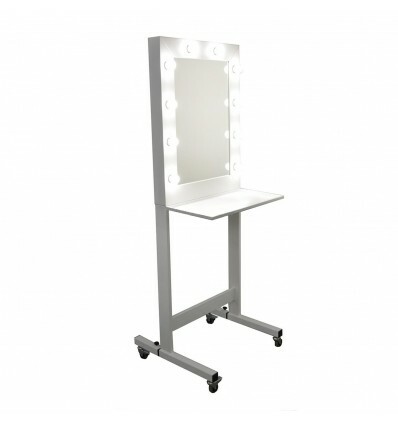 The Mobile Hollywood stand is perfect for beauty parlours, beauty salons and make-up studios. Combining one of our flagship models of “Hollywood” mirrors with a mobile table has allowed us to create a professional workplace that will work under all conditions. Easy transport makes the stand perfect for a variety of events, exhibitions or fairs. The Hollywood mirror is a beautiful makeup mirror made with utmost precision and attention to detail, which will meet the expectations of even the most demanding customers. The professional 80×60cm mirror has been equipped with 10 lights located along the perimeter of the mirror. 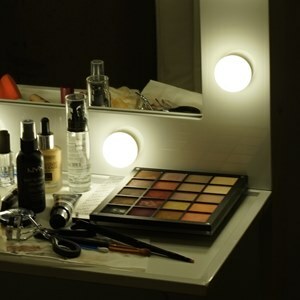 The layout of lights on four sides ensures even lighting of the face of the person sitting in front of the mirror, thus simplifying precise makeup application. Neutral light colour makes the face look the same as in natural daylight – the make-up effect is thus close to perfection. The High-gloss painted frame adds style to any interior. It is easy to keep clean, which allows the product to keep its impressive look for many years. The solid table has been made using MDF. Base wheels allow for easy movement of the stand. Many make-up artists dream about a professional make-up stand. Our product will meet the expectations of even the most demanding customers. The Mobile Hollywood makeup stand may be positioned anywhere. The mirror is a separate element and it may be placed on a stable surface or mounted on the wall in a horizontal or vertical orientation. 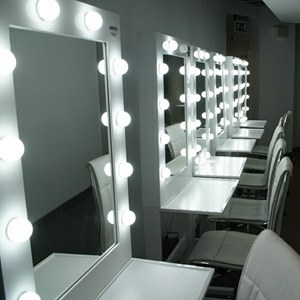 Did you know that the 12 LED lights installed in the Mobile Hollywood stand mirror consume less energy than one standard bulb! LED lights have a much longer life than standard bulbs, so the LED lights supplied with the mirror will last several years. Moreover, they create almost no heat, which significantly improves your work comfort; makeup does not run, as it might do with warmer lighting.